This famous temple is located at the place of confluence where Vasistha Godavari joins the Bay of Bengal. 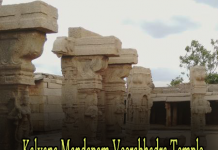 This temple was constructed in 15th or 16th centuries by Pallava kings and later Peddapuram Reddy kings. The present structure is said to be built by Kapanati Krishnamma of Agnikula Kshatriya clan in 1823. The temple tower has five storeys depicting various incarnations of Vishnu and sculptures of lions on four sides. 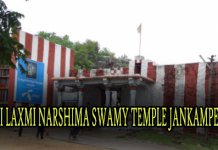 Though the temple is not so big it is one of the most primitive thirty-two Narasimha Khestras in A.P. The Lord is seen with His consort Lakshmi beside the banks of holy Vasishta Godavari. The nearest town is Narasapur just 20 kms from here. The nearest railway stations are Palakollu and Bhimavaram. Located in the scenic surroundings this temple provides a very peaceful and pious holy spot for devotees. 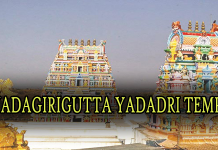 Other places to see at this place are Sagara Sangamam, Raktakulya, and Gurralakka temple. One can also travel from Rajahmundry (100 kms. )and Amalapuram(65 kms.) to see this famous temple. Aarti Timings, Darshan Timings, Pooja Timings, Abhishekam Timings with Antarvedi Temple Opening and Closing Time for smooth darshan. Devotees can also get Antarvedi Temple Vip Darshan Tickets and Abhishekam & Sudarshana Homam Tickets Bookings Timings below. during festivals and special days. Tickets Cost and Schedule below. Note:1) The Sudarshana Homam Timings might change during festivals and special days. 2) Sudarshana Homam Timings will continues for 2 Hours. Sakinetipalli Mandal, East Godavari District., Antervedi, Andhra Pradesh 5332521. 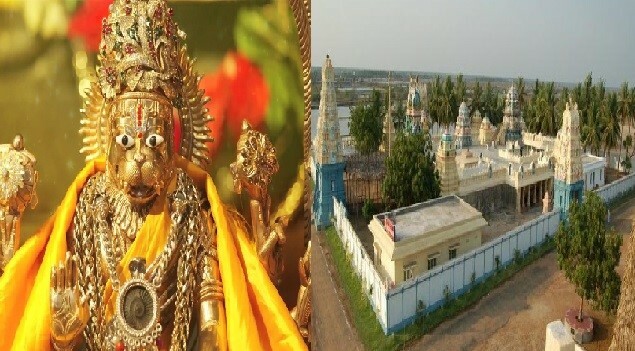 Major Festival: Bheeshma Ekadasi, Ratha sapathami, Kartika Pournami,Vaikunta Ekadasi.